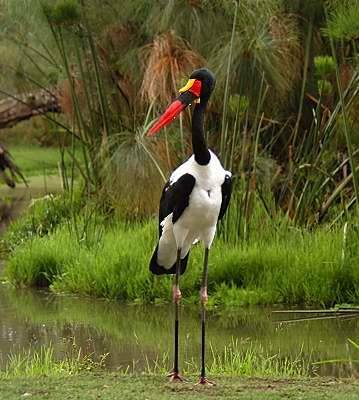 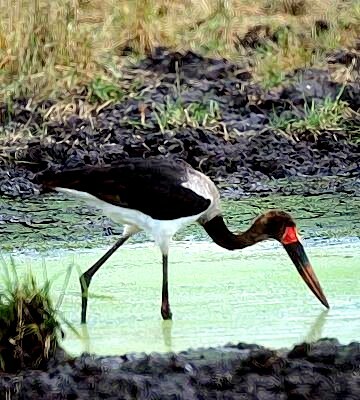 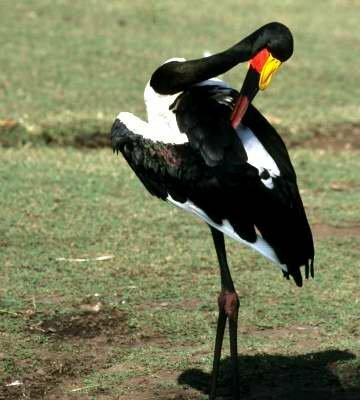 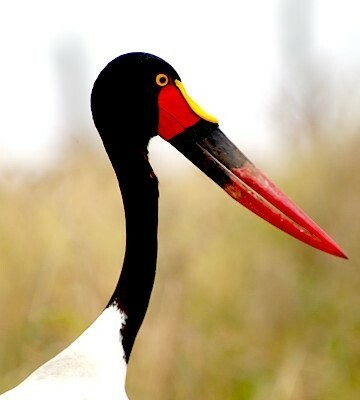 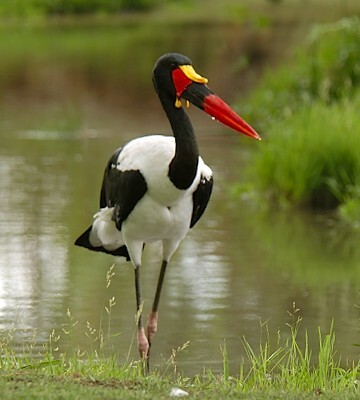 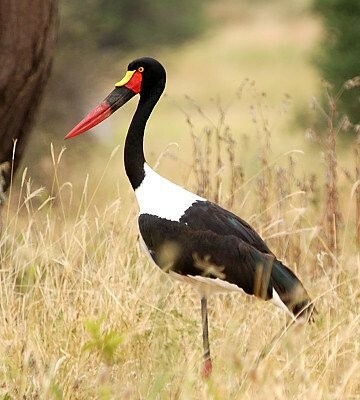 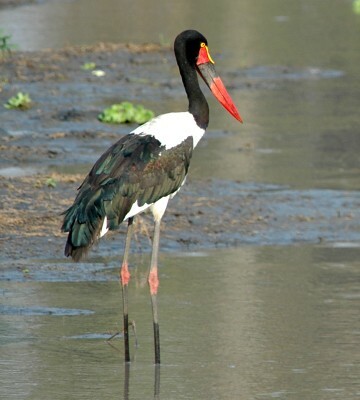 The saddle-billed stork is a large black and white stork with a tri-colored bill and that is usually seen on permanent freshwater lakes and ponds. 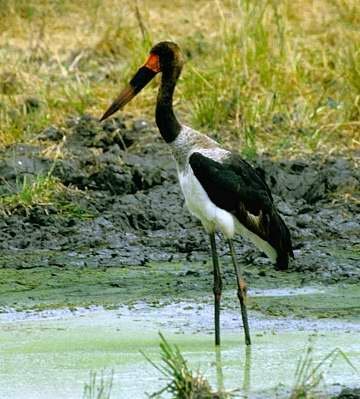 The enlargements includes a recent fledge, several juveniles and immatures and a comparison of adult male and female. 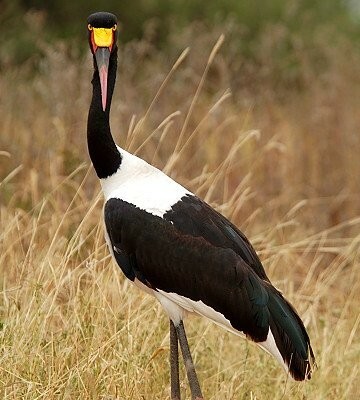 The male has dark eyes and a yellow wattle; the female, yellow eyes, no wattle. 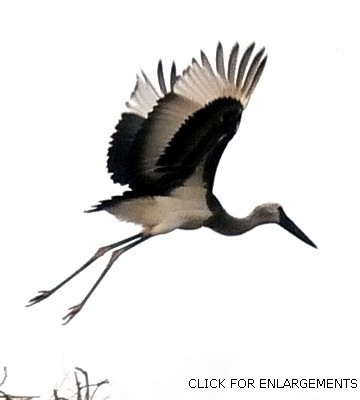 The juvenile in flight above was seen in Tarangire (7-07), courtesy of Mike Peterson; click it to see 23 enlargements including juveniles and immatures.